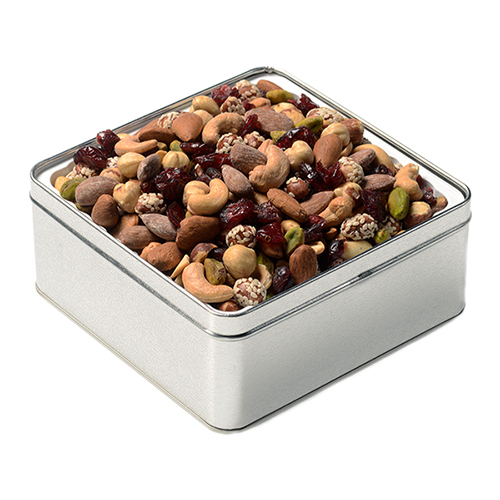 Energize friends and family with protein rich nuts. Satisfy the soul with Fastachi's incomparable Cranberry Nut Mix. 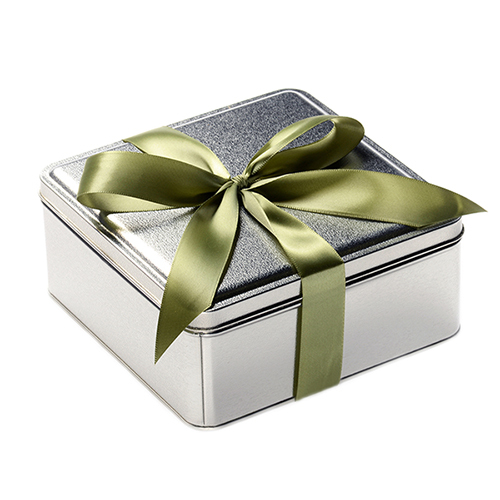 Matte silver gift tin preserves every bit of flavor, and is hand-tied with ribbon. From someone who eats nuts almost daily. I have finally found the best nut mix ever! Found this place a year ago. Can't say enough good about it. The nuts are the freshest I have ever had. I started sending them to family and clients. They love them. This is a box of absolutely delicious nuts. Having nuts for Thanksgiving has been a tradition. Fastashi takes this to a level of excellence! Thank you so much. Plan to give as gifts! Delicious fresh and beautifully packaged tin! Totally satisfied.! I'm a very satisfied customer! 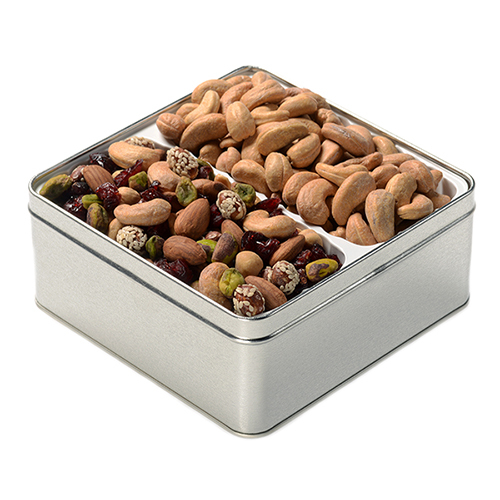 I purchased several tins of nuts to give as gifts. I was very pleased with the service and Paula went out of her way to give excellent customer service. My friends have let me know that they really enjoyed the nuts. Thank you!! I received a 1 lb. 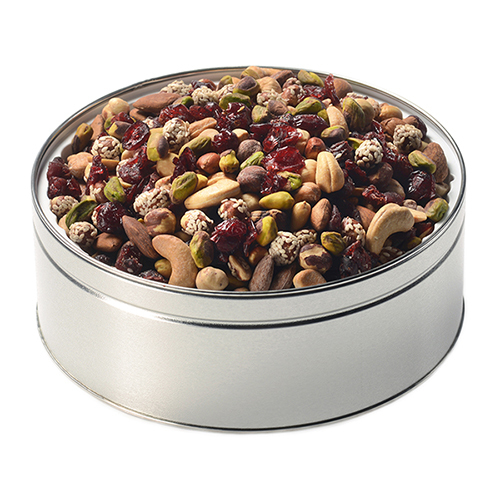 tin of the cranberry nut mix for Christmas from a client. Ordinarily, my husband and I pick out our favorite nuts and leave the rest. The nuts and fruit were so incredibly fresh and so good, we just kept grabbing handfuls without sorting through. It was difficult not to eat the whole tin in one day. Loved them so much, I ordered a 2 lb. tin for myself and for my son. Can never go back to store bought nuts again! Friends in Belmont introduced us to Fastachi and it remains our favorite indulgence! I ordered two lbs of the holiday mix and it was a hit!